Sunny Side is opening a toddler class. We have some wonderful news! Sunny Side is looking to add a beautifully designed toddler class to our lovely 3-6 year old environment. We plan on having a well-organised classroom with activities that help the little ones to help themselves. 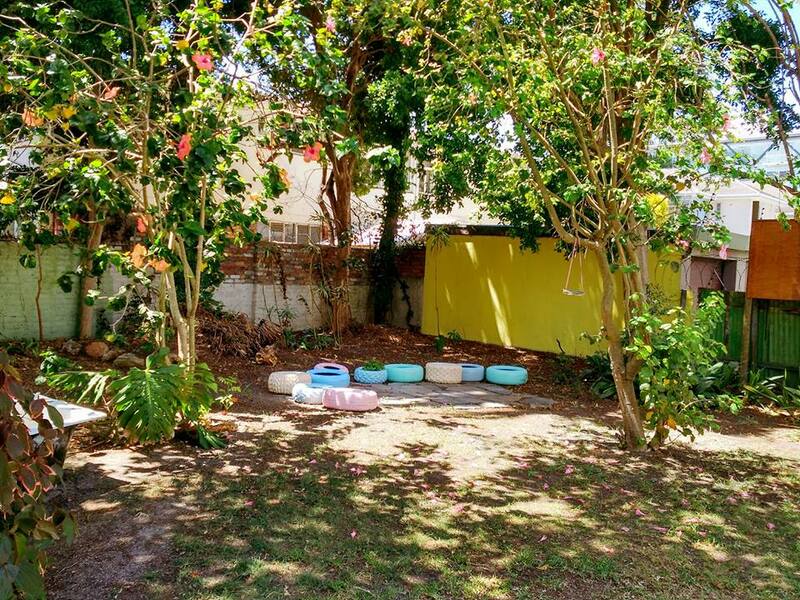 We will create a loving and nurturing environment so that parents feel at ease when their kiddies start with what will probably be their first experience of school. As I know young children are rather particular and have a strong need for predictability and order, for this reason we will provide a well structured environment to help ease children into the new environment. 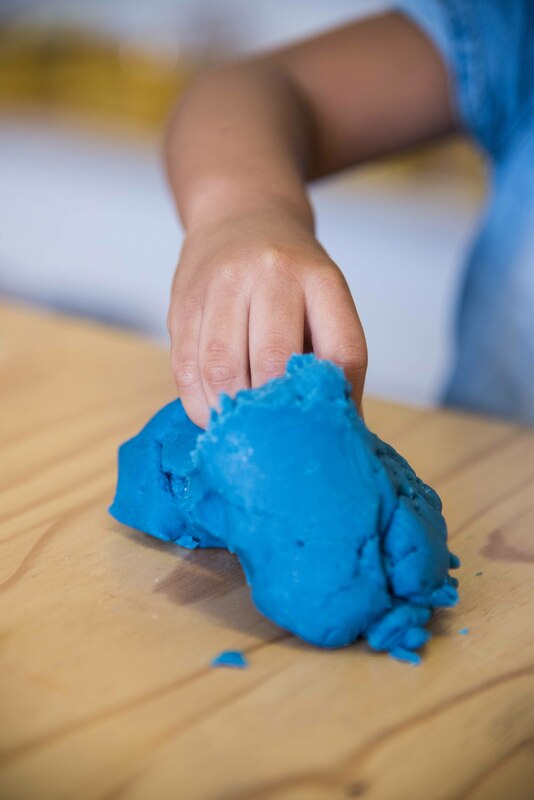 Our Sunny Side toddler class will have Montessori equipment, consisting of mainly practical life, sensorial, language (which will be books, learning sounds and pre-writing exercises to strengthen their pincer grip), culture (during theme discussions) and arts and crafts. So if you’re looking for a positive and nurturing environment for your toddler we have the ideal set-up. 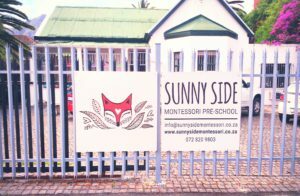 What Happens Daily at Sunny Side Montessori? 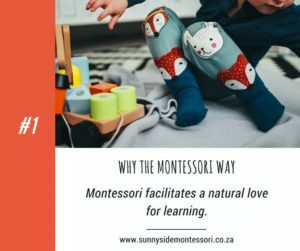 Teachers often expect their day to go a certain way when educating little ones– I know I do here at Sunny Side Montessori. Maybe they have crafts arranged, a fun lesson planned, theme-related information they want to talk about; or they envision children listening diligently and following all their instructions – in the least, they might hope for some structure throughout the day. Those expectations are often far from what plays out in reality. Children have their own minds filled with interests and desires to chase for the day ahead. As a teacher, you must be ready with an unlimited supply of creativity each day to help develop those interests. It’s important (and actually very exciting) to think on your feet. One moment you need to make up a game, the next you have to tell a fascinating story, then thrown together a craft project on rocket ships, or do a science experiment around electricity… all without having planned a thing! 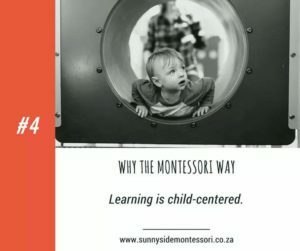 Each day at Sunny Side Montessori is filled with spontaneity, joy and an abundance of learning. When a child shows an interest in something, it’s my responsibility as a teacher to delve into this subject with passion and care and explore what can be learnt about this subject. Every day is different and every day is great, even though it doesn’t always go according to plan!